The International money transfer service, Transferwise Ltd. has announced an integration with Facebook Inc.’s Messenger that will allow people send money over the chat service. London-based TransferWise launched the technology as a bot — a piece of automation software that understands natural language — baked within Messenger. The bot, which is free to use and doesn’t affect prices or rates offered, will talk users through the process of arranging an international money transfer with TransferWise. The bot will also allow people to set alerts to notify them when a particular foreign exchange rate they are interested in hits a certain level. The service is available for payments to and from the U.S., Canada, Australia, the U.K. and Europe, the company said Tuesday. It said it would later expand the offering to all 50 countries — and 600 currency exchange pairings — that TransferWise supports. In launching a bot on Facebook, TransferWise joins a growing lists of foreign exchange and payment companies experimenting with sending money over messaging apps, which many people think will gradually replace standalone mobile applications as the primary e-commerce platform. Azimo Ltd., a foreign exchange transfer service that is a rival to TransferWise, announced an integration with Facebook Messenger in August. PayPal Holdings Inc., Stripe Inc., Visa Inc., Mastercard Inc. and American Express Co. already have payment bots on Facebook Messenger, as does the China-based Alipay.com Co Ltd.
WeChat, the popular Chinese messaging service owned by Tencent Holdings Ltd., was a pioneer in offering chat-based payment systems. Facebook has made a major push to get payment services to integrate with Messenger in order to turn it into a commerce platform as well as a chat destination. TransferWise, which garnered attention with its promise to give customers the official mid-market exchange rate with low fees, has increasingly sought to become the international money transfer backbone for banks. It currently powers such transfers for the challenger German bank N26 and the Estonian financial services provider LHV Pank AS. TransferWise, which was founded in 2010, is considered one of the U.K.’s most successful financial technology startups. It is backed by Silicon Valley venture capital firm Andreesen Horowitz, Peter Thiel’s Valar Ventures and Scottish asset manager Baillie Gifford, among other investors, and was valued at more than $1.1 billion in its latest financing round in May 2016. 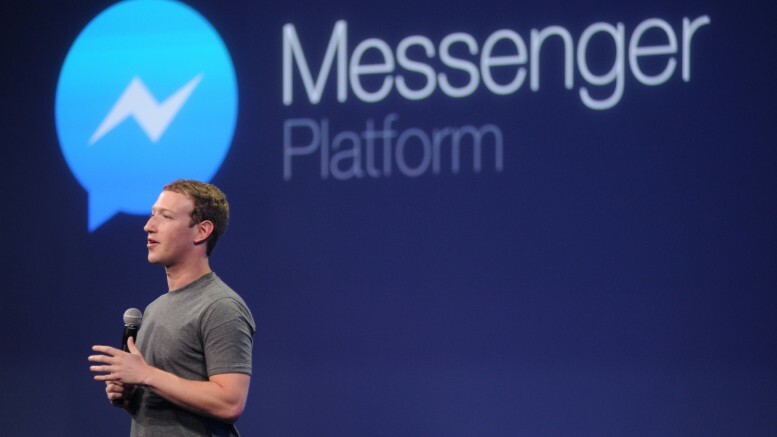 Be the first to comment on "You Can Now Send Money On Facebook Messenger"